LONDON -- The head of Britain's biggest trade union is likely to meet PSA Group CEO Carlos Tavares on Friday amid growing concerns over the future of Vauxhall plants if the French automaker buys the business from General Motors, a union source told Reuters. PSA is in talks to buy GM's money-losing European business, which operates under the Vauxhall and Opel brands. Overcapacity at existing sites, Britain's move to leave the European Union and pension liabilities all likely to influence any deal and possible restructuring. Tavares is due to meet Britain's business minister Greg Clark "toward the end of the week," a government source said, in a key test of Britain's ability to retain investment after its Brexit vote in June. German media reports over the weekend suggested PSA had told Berlin it would continue production at all four of Opel's German sites, although Germany's deputy economy minister, Matthias Machnig, said on Monday there had been no binding assurances. Machnig said initial talks between the German government, PSA and GM have led to some encouraging signals that jobs at Opel factories will be preserved. German newspaper Bild am Sonntag had reported that PSA had pledged to continue operating all four of Opel's German production sites. A UK union source said: "We are increasingly concerned after reports that German plants are safe." The head of the UK's Unite trade union, Len McCluskey, is likely to meet Tavares in London on Friday. The pensions deficit at GM's British division is up to 1 billion pounds ($1.25 billion), a separate source familiar with the matter told Reuters. Many multinational companies are trying to rein in rising pension liabilities. Britain's overwhelmingly foreign-owned car industry has been lauded as a success story by politicians and is set to hit record production levels by the turn of the decade, but any tariffs following Britain's departure from the EU would hit margins and could see output cut. Last year, Nissan asked for a pledge of compensation if its plant was hit by Brexit, but went on to invest in two new models after what a source described as a government promise of extra support to counter any loss of competitiveness. Prime Minister Theresa May plans to speak with Tavares and is determined to protect Britain's car industry, her spokesman said on Monday. "It's going to be a private conversation. There's been a request for a meeting and we will try to make that meeting happen, but I am not going to go into what the nature of that conversation will be," he told reporters, adding the timing of the meeting depended on "diary compatibility." Germany is heading towards a federal election in September and any major job cuts at Opel could weaken the chances of Chancellor Angela Merkel getting re-elected for a fourth term. Merkel is constantly being updated on the progress of talks between the government and the management of the carmakers, government spokesman Steffen Seibert said during a regular news conference in Berlin on Monday. An economy ministry spokesman reiterated the government's main goal was to preserve jobs. He said Berlin was also in contact with the British government and that both countries would not let themselves being played off against each other. Germany accounts for half of GM Europe's 38,000 staff, while there are 4,500 in Britain where the company operates under the Vauxhall brand. 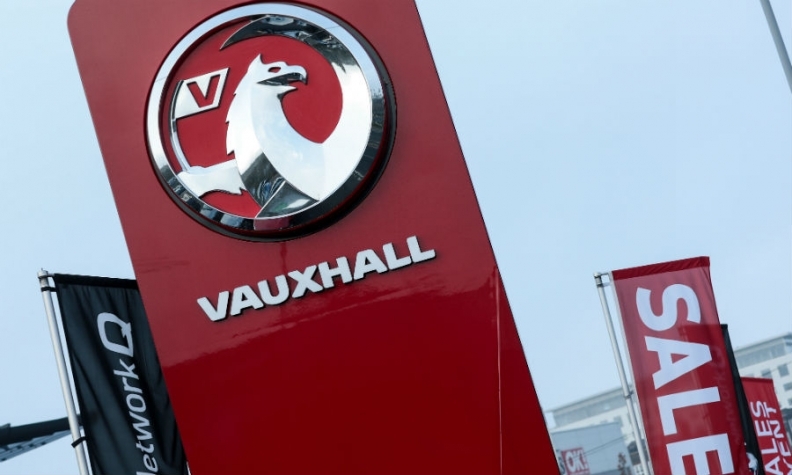 Two sources close to PSA said last Thursday that job and plant cuts were part of the tie-up talks, with the two Vauxhall sites in Britain in the front line.